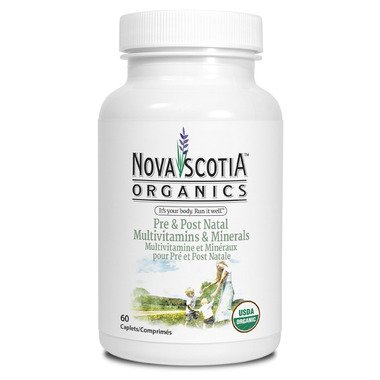 Nova Scotia Organics Pre & Post Natal Multivitamins & Minerals are rich and balanced daily Multivitamin and Minerals that are ever-so-carefully formulated for expectant women and the little ones they're carrying, and for women post-pregnancy. 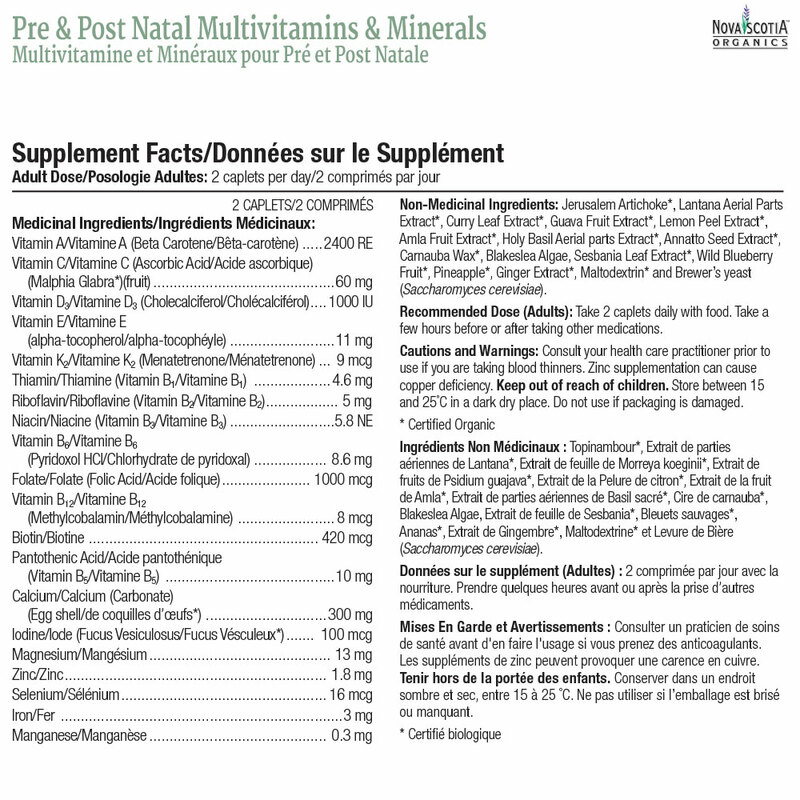 This formula is packed with 20 essential Vitamins & Minerals, including Vitamin A, B, C, D3, Folate, Iron, Calcium and Zinc. To make it even better, all of these ingredients are plant sourced, with the exception of Calcium derived from eggshell and Vitamin D3 from Sheep's Wool Lanolin. In other words, from non-synthetic substances your body recognizes easily and digests well.